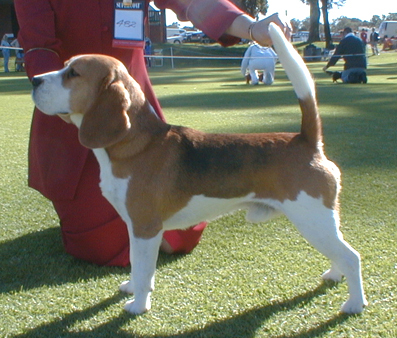 Adam had an impressive record even before he made up his Grand Championship at just 2 years of age. 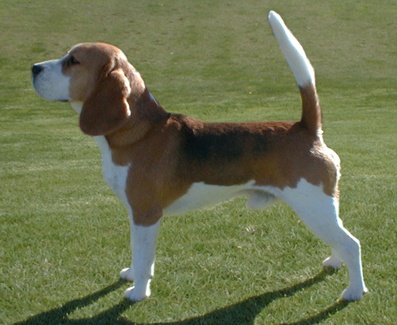 He was a Multi Best in Show winner at both Specialty Shows and All Breeds Show. Listed here are just some of his achievements. 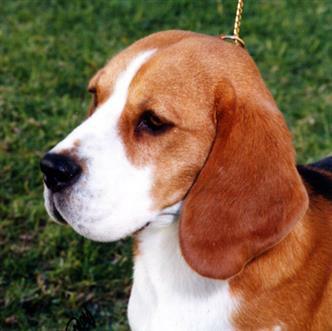 Best Exhibit in Show at the WAKC Winter Festival in July 1996 at just 12 months of age! 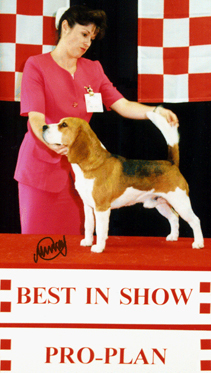 I lost count but at last count he had 55 Best of Breeds and 20 Best Exhibits in Group to his credit. 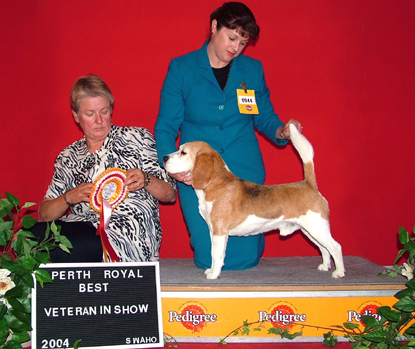 His most recent accolade was coming out of retirement to take out Best Veteran in Show at Perth Royal in 2004, a feat accomplished by his grandfather Drum in 1999! 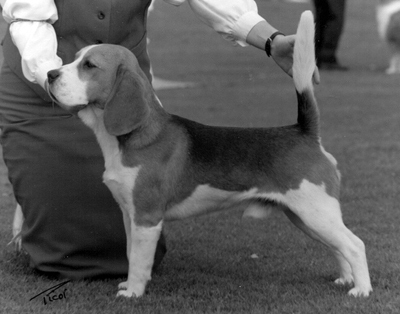 His Grandson Aust CH Sligrachan Cruachan took Best Exhibit in Group that same year!